If you have always thought your teeth look just a little too short, or if you have broken a tooth that needs to be fixed, crown lengthening at Advanced Dental Care may be the best procedure for you. Dr. Jeremy B. Jorgenson performs the treatment with expertise and efficiency -- keep reading to learn more about what crown lengthening is, why it’s needed, and what the procedure is like. Then contact us to discuss your own smile needs! Crown lengthening is a common cosmetic or restorative procedure that is used to expose the healthy white tooth enamel that is trapped behind your gum tissue. Dr. Jorgenson may recommend crown lengthening to correct the cosmetic issues caused when there is too much gum tissue covering up the teeth, or to make room to fix a damaged tooth with a filling or crown. Many people are bothered by what we call a “gummy smile,” or when a person simply has too much gum tissue and not enough white tooth enamel showing. 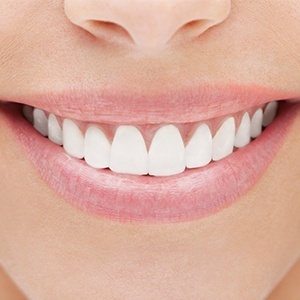 You do have healthy white teeth back there -- they just need to be revealed with crown lengthening. 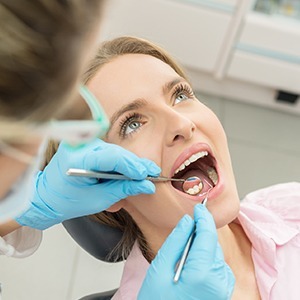 Additionally, if you have a broken or seriously damaged tooth that needs to be fixed with a crown or filling, it may not be possible unless we expose more tooth enamel first. Crown lengthening gives your dentist more tooth to work with so we can place a filling or dental crown. Before we begin with crown lengthening, we will schedule a checkup and cleaning for you at Advanced Dental Care. It is important that your teeth and gums are healthy and clean before performing oral surgery. Then Dr. Jorgenson will review your medical history and X-rays and then put together your treatment plan. We apply local anesthesia first to ensure you do not feel a thing at the treatment site. Sedation is also available if you need extra help relaxing. After you are completely comfortable, Dr. Jorgenson will begin the procedure by cutting away small bits of the gum tissue to expose more of the tooth that is hidden behind. 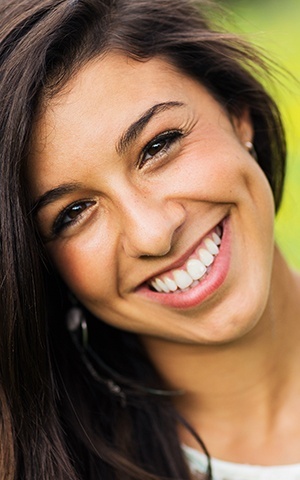 Some excess bone tissue may be removed if a filling or crown needs to be placed. Once the procedure is complete, we clean the area and sew the gums closed. We will send you home with postoperative instructions to ensure your recovery is as speedy and comfortable as possible. Use an ice pack in the first 36 hours following surgery to reduce swelling, maintain a soft foods diet until discomfort allows you to resume eating, and take any medications we have prescribed as directed. Get in touch with our office if your symptoms worsen or do not improve after several days. Talk to Us About Crown Lengthening Today! Are you interested in revealing more of your beautiful white tooth enamel with a crown lengthening procedure? Dr. Jorgenson is here to help! Contact us to schedule an appointment at Advanced Dental Care today.